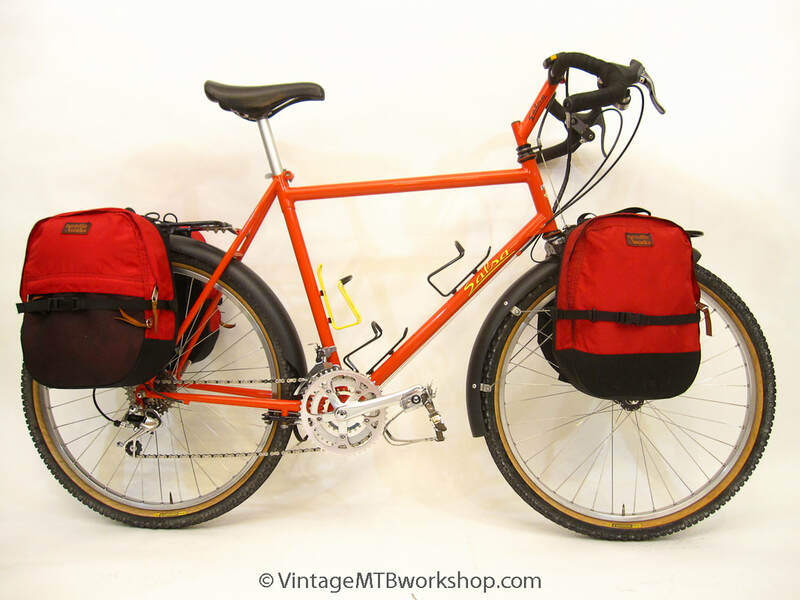 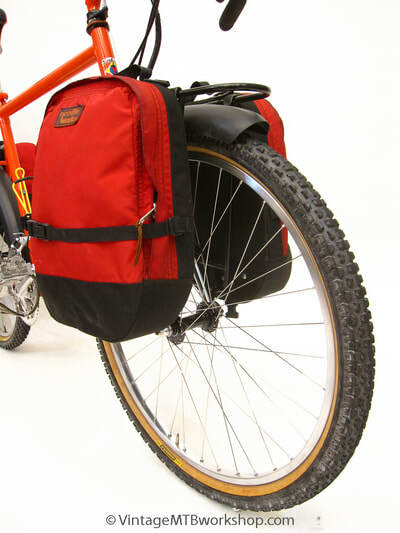 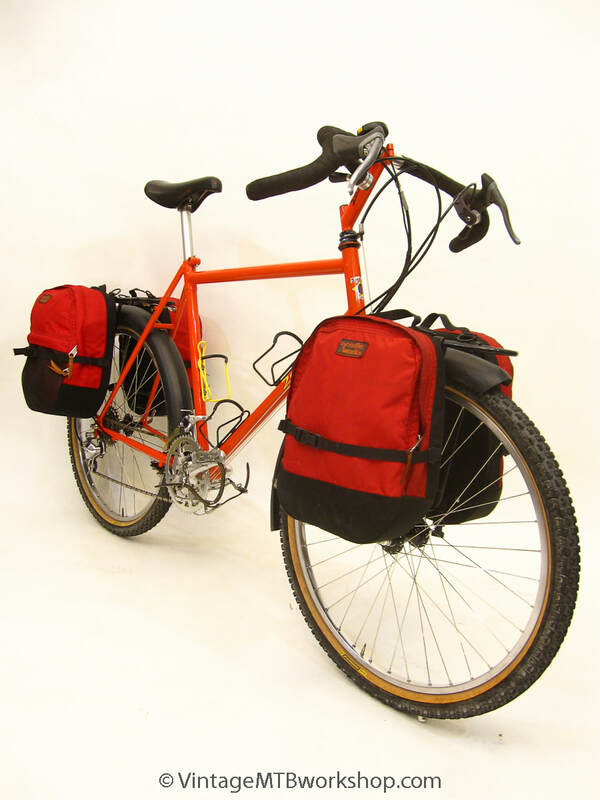 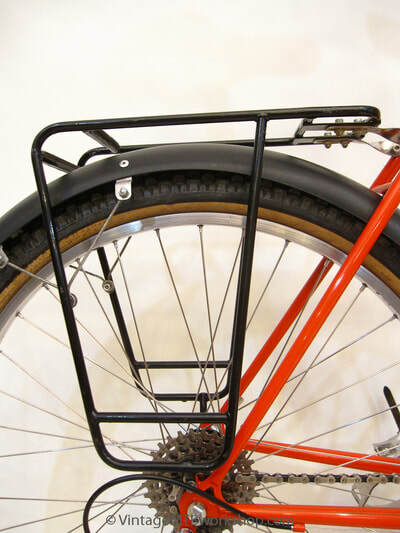 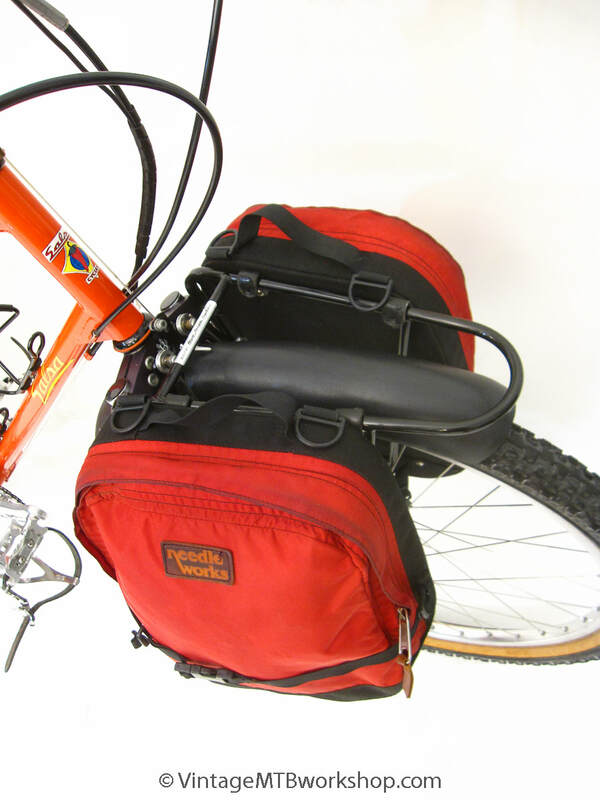 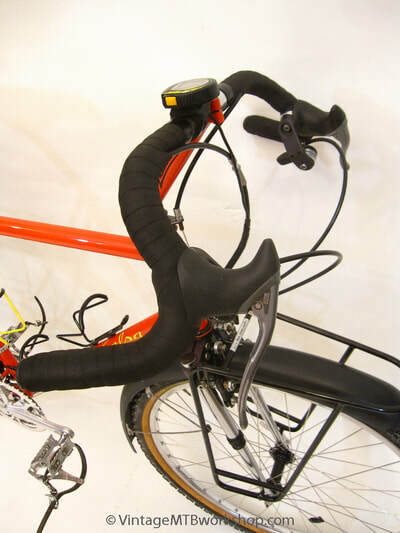 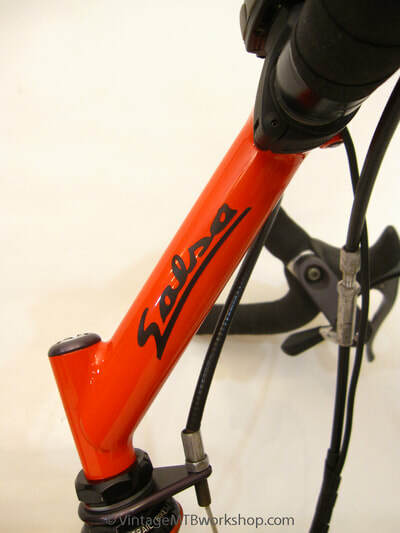 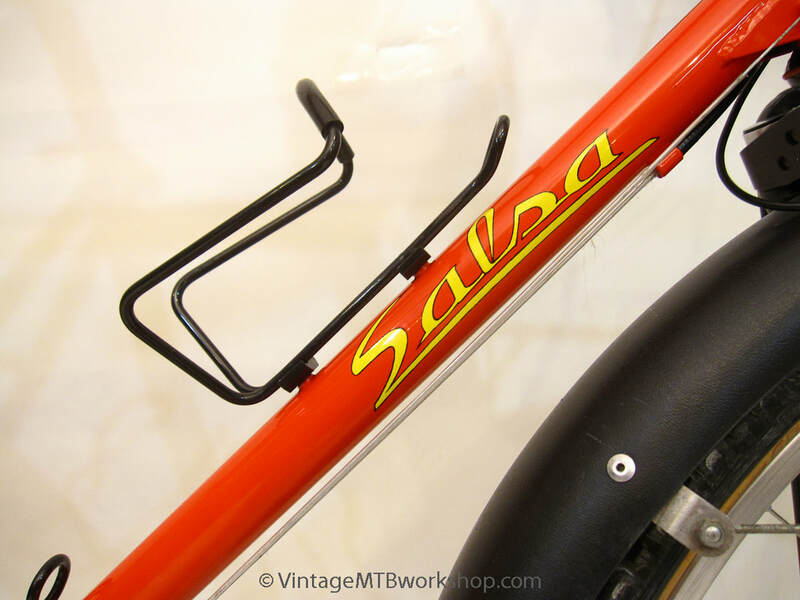 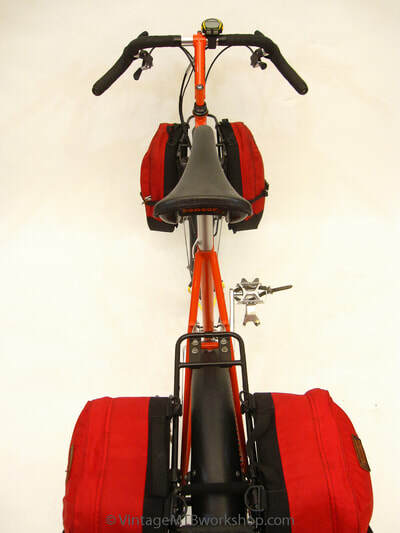 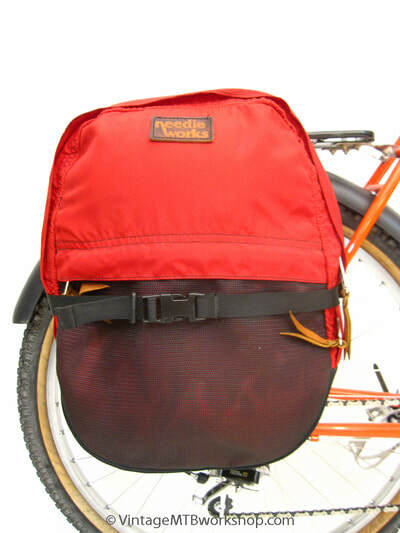 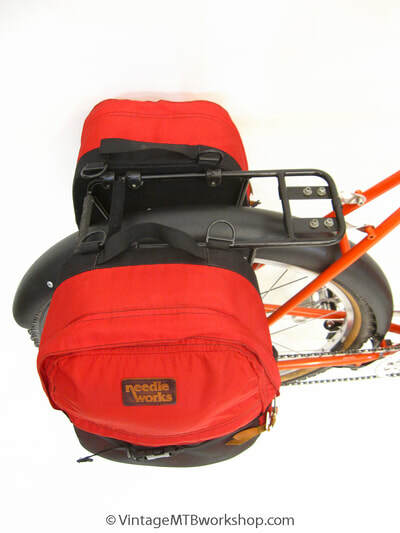 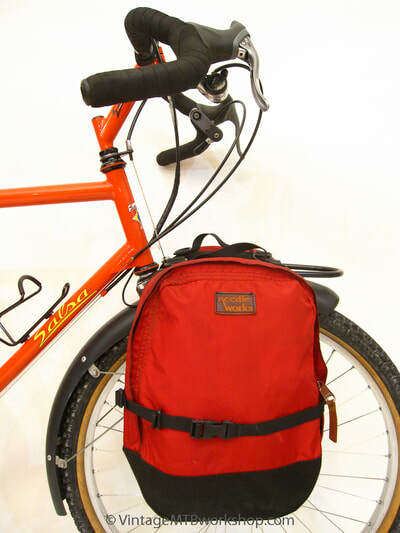 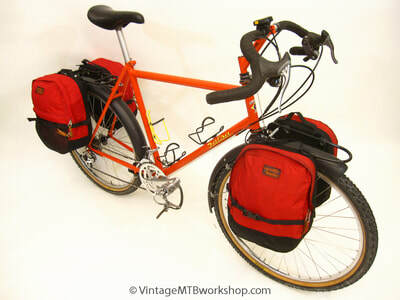 This Salsa was designed by the original owner to be used for loaded touring, with a system of racks, fenders, and panniers that was carefully planned to work in harmony. 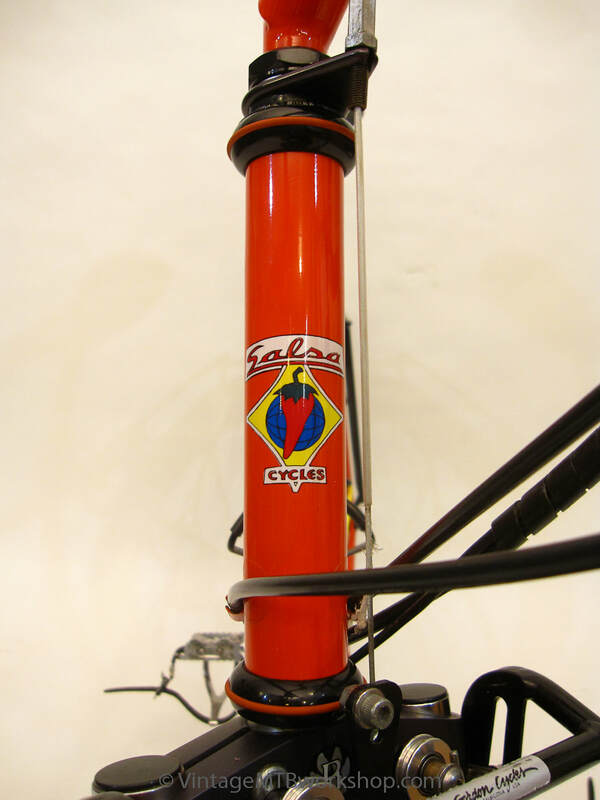 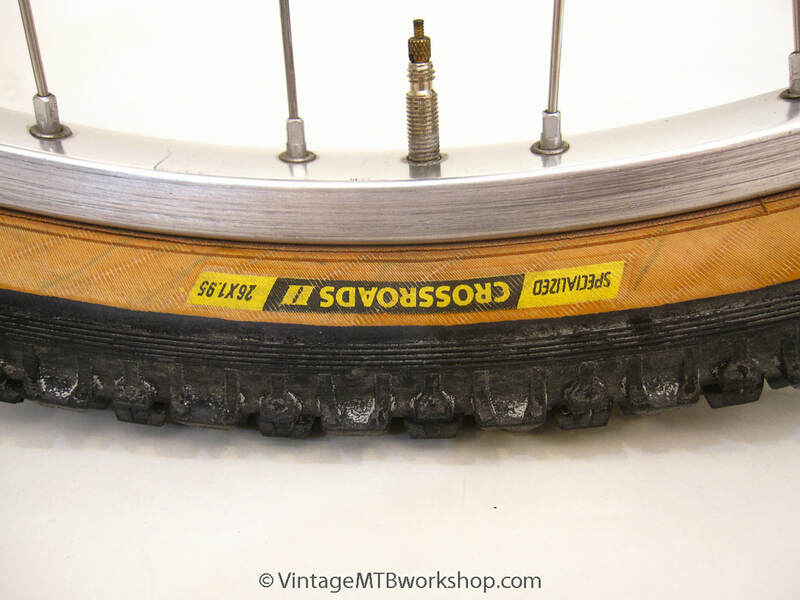 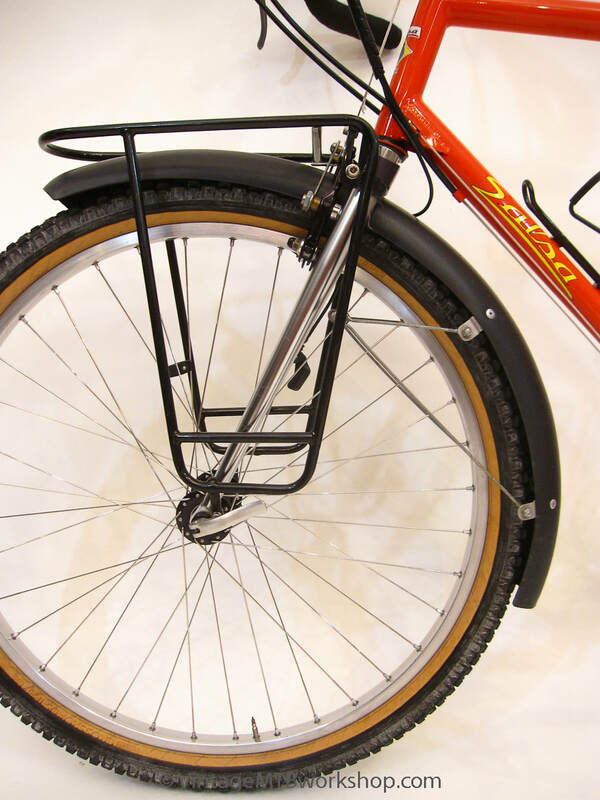 Anticipating the added stress and flex that a fully-loaded bike exceeding 60 pounds would impart on the frame, the downtube and toptube are both 1.25 inches in diameter. 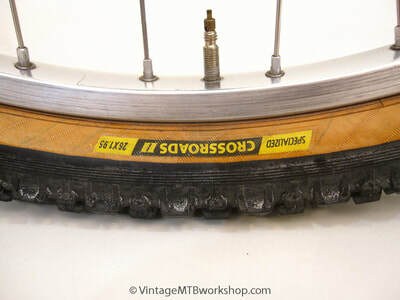 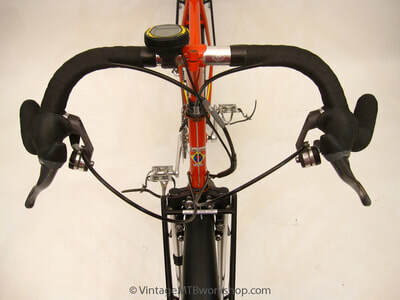 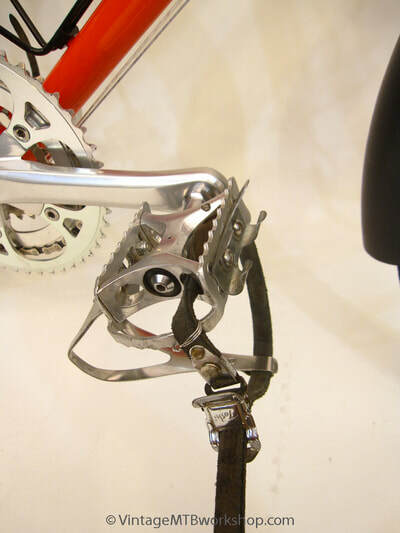 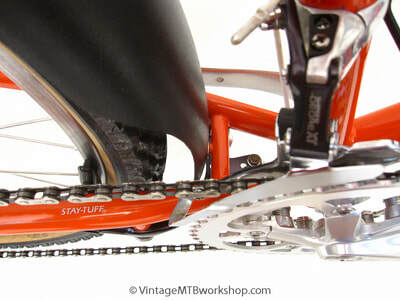 Extra thick blades were used in the Bontager fork to reduce chatter while braking. 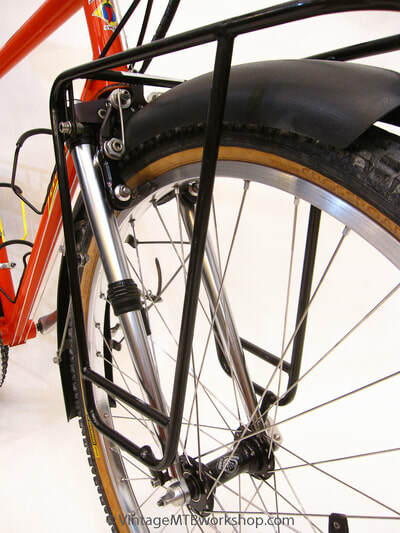 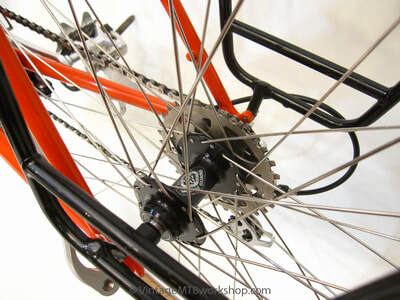 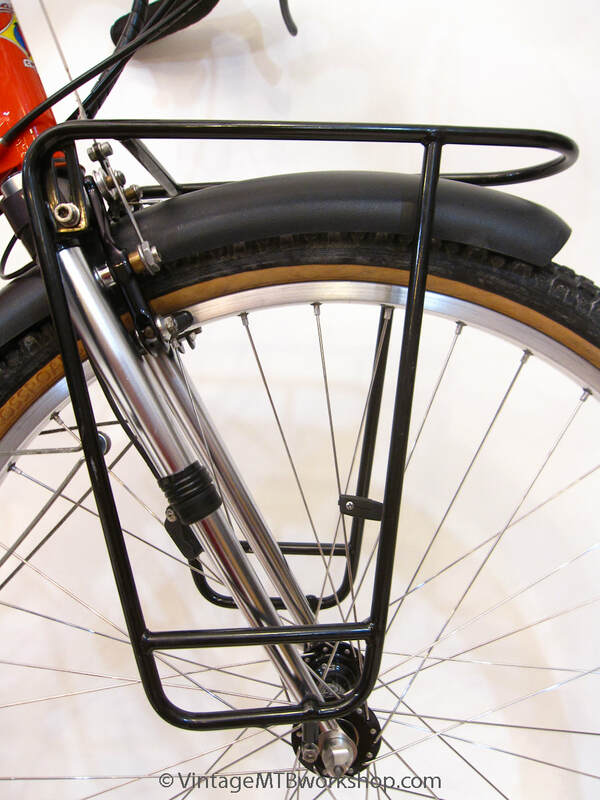 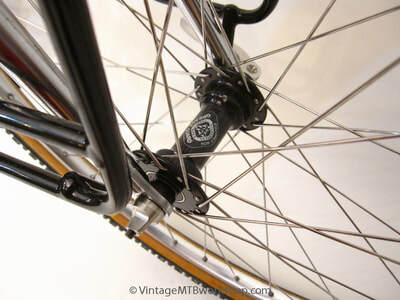 By design, the frame and rear hub have a spacing of 140 mm to create a dish-less rear wheel for added strength. 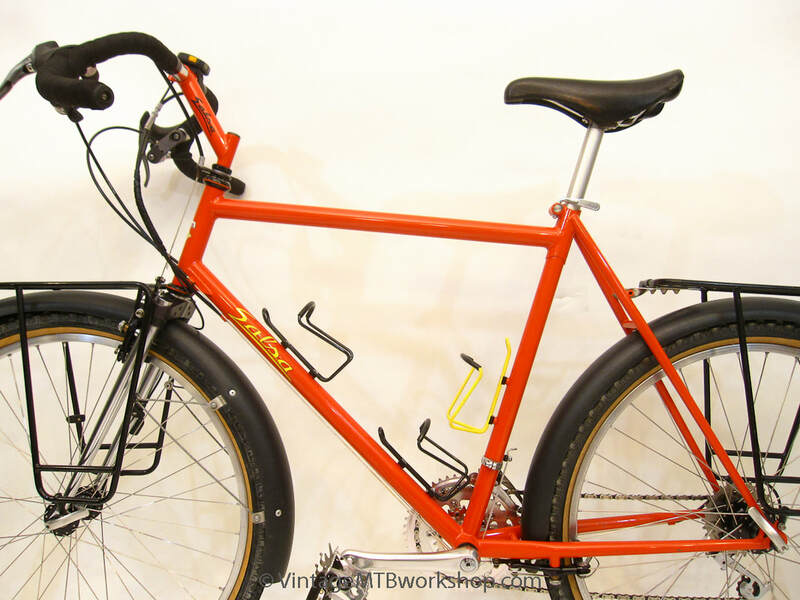 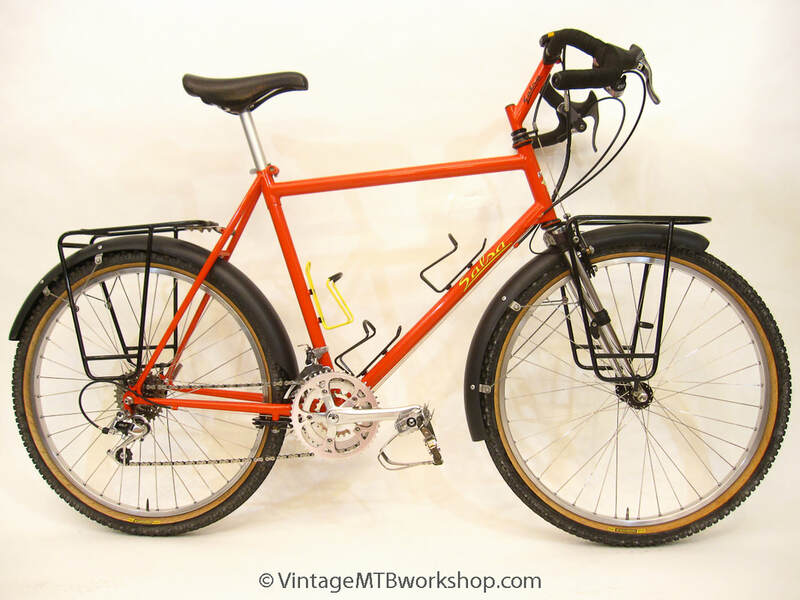 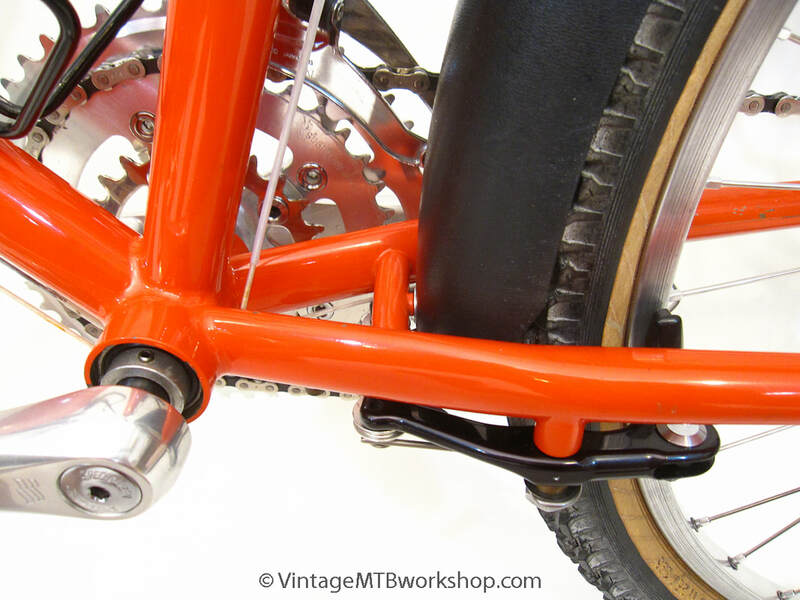 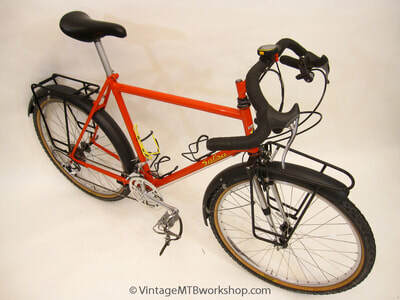 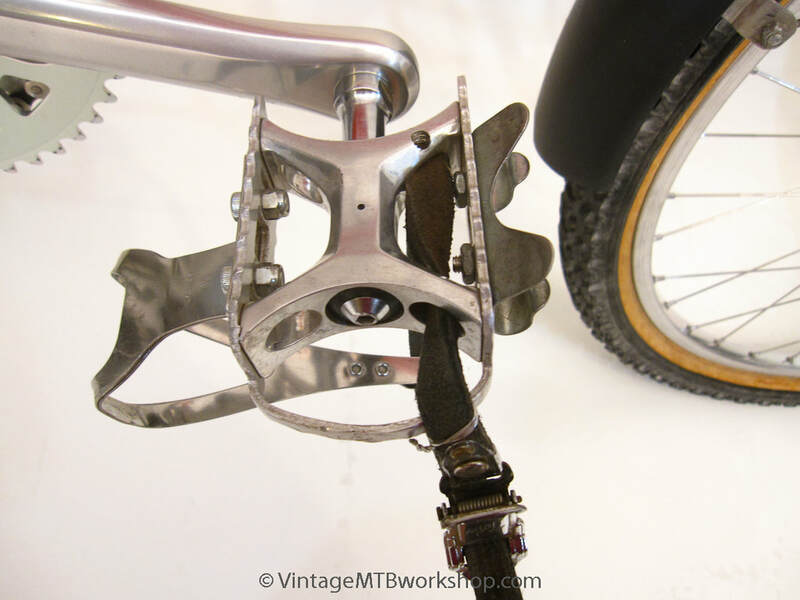 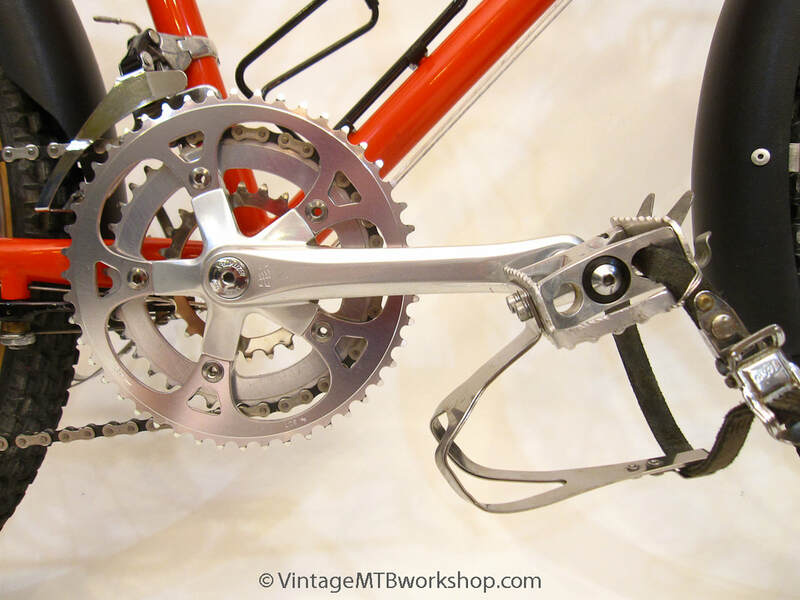 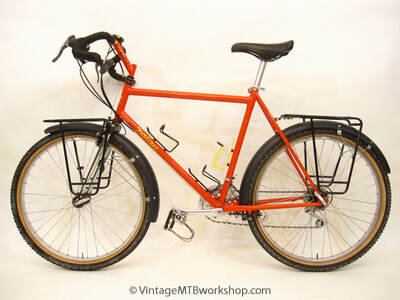 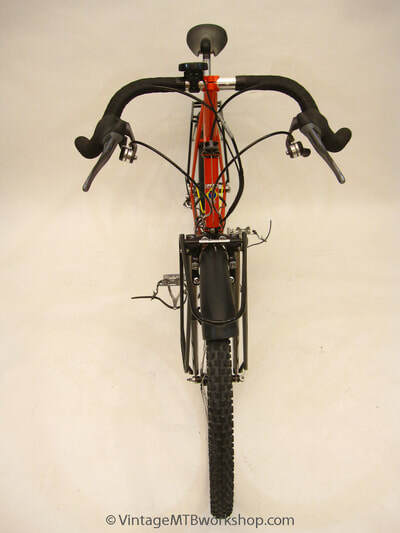 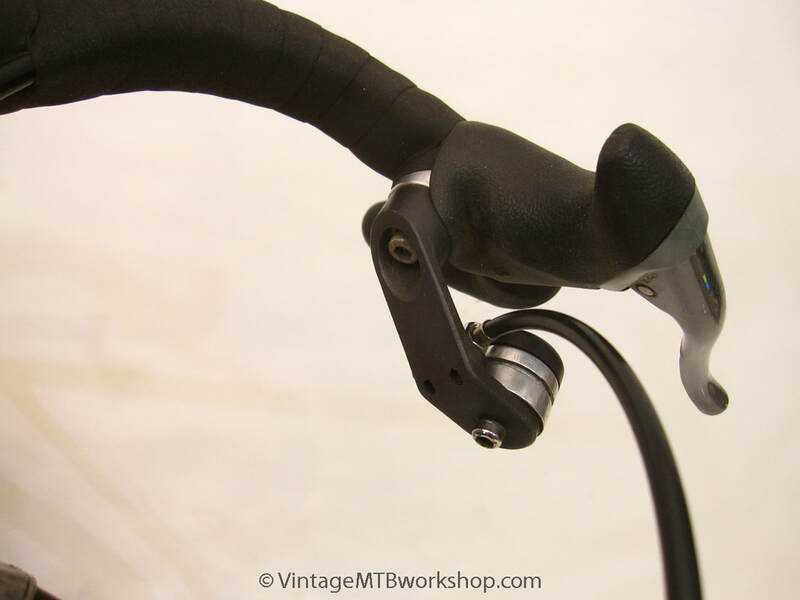 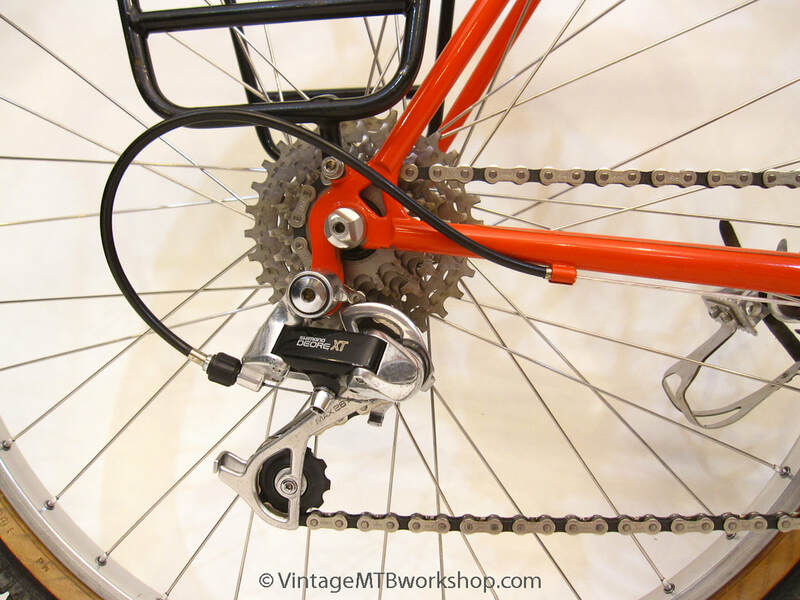 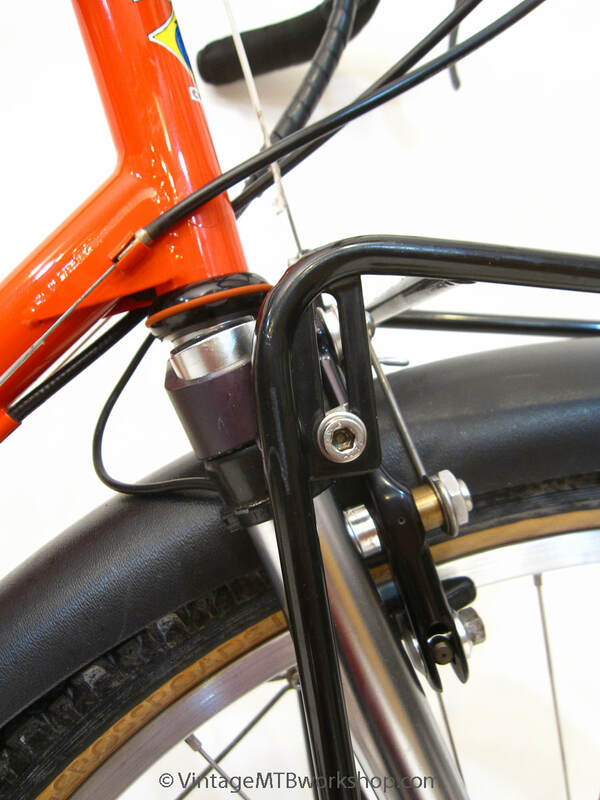 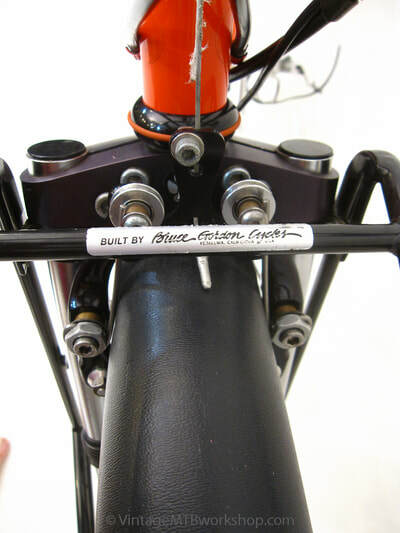 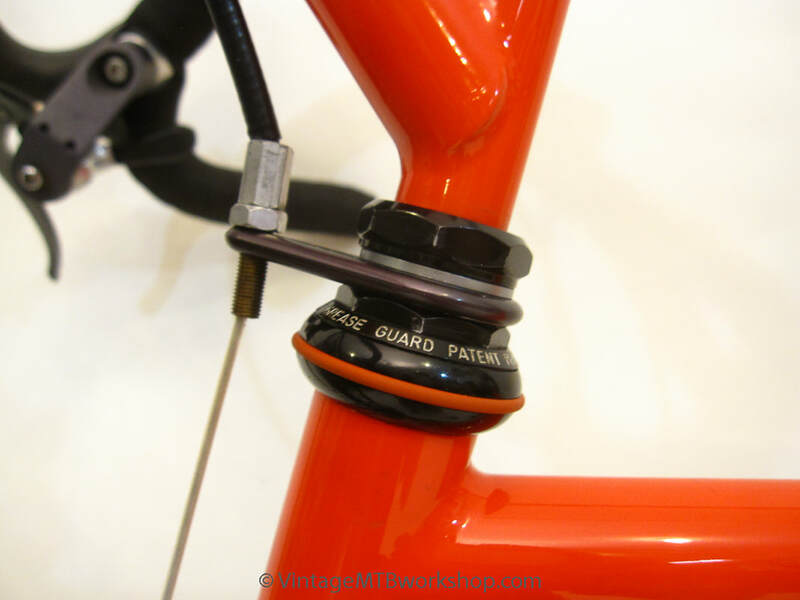 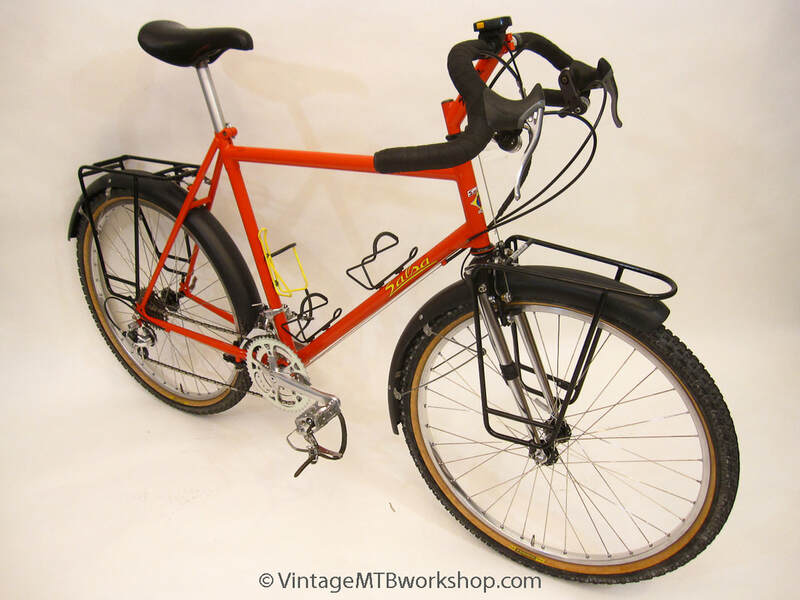 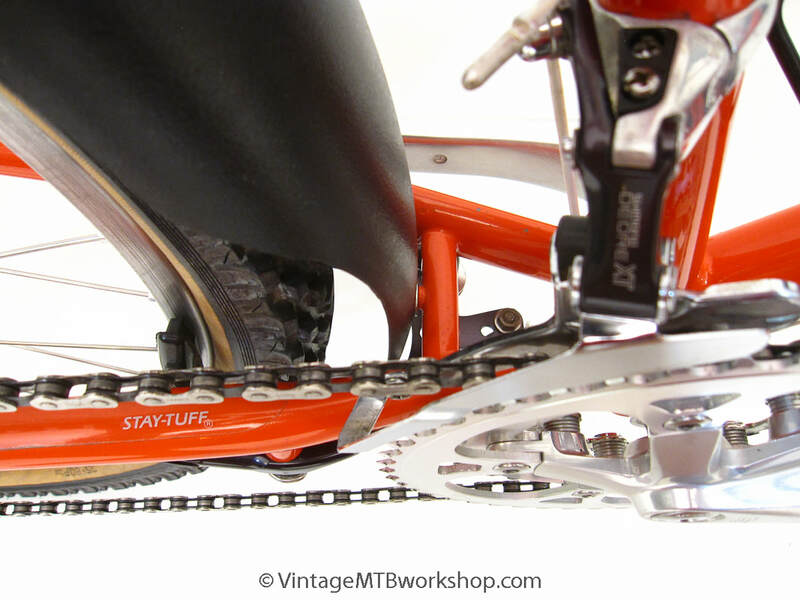 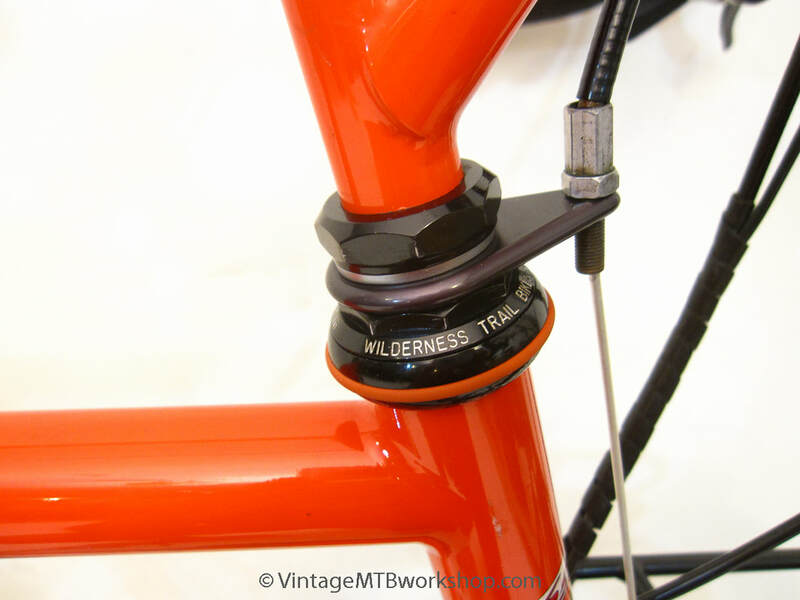 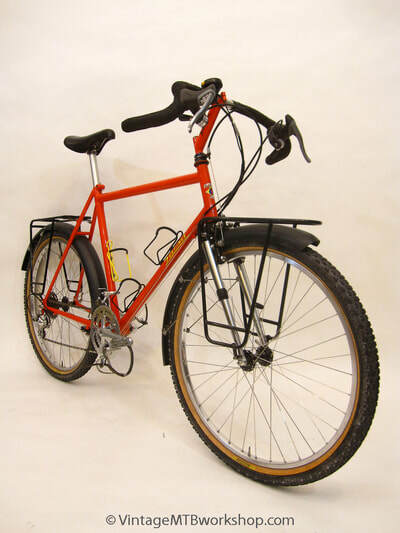 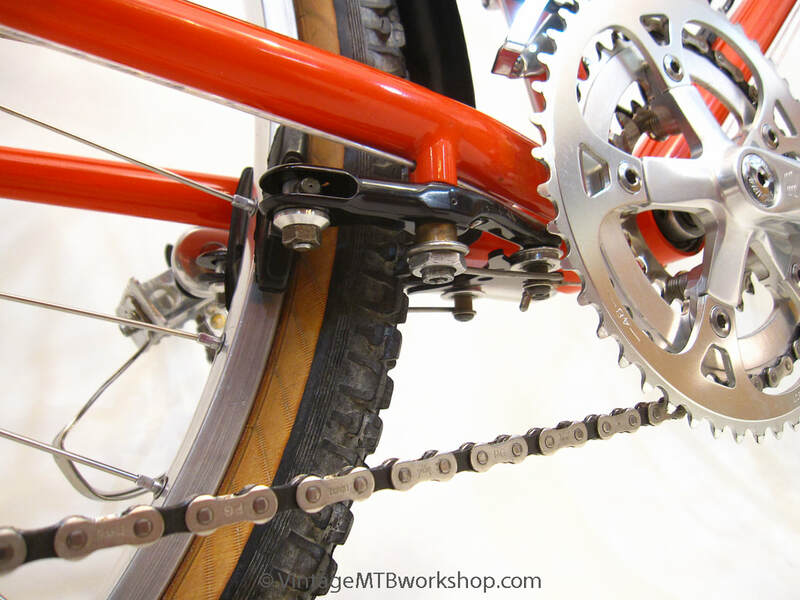 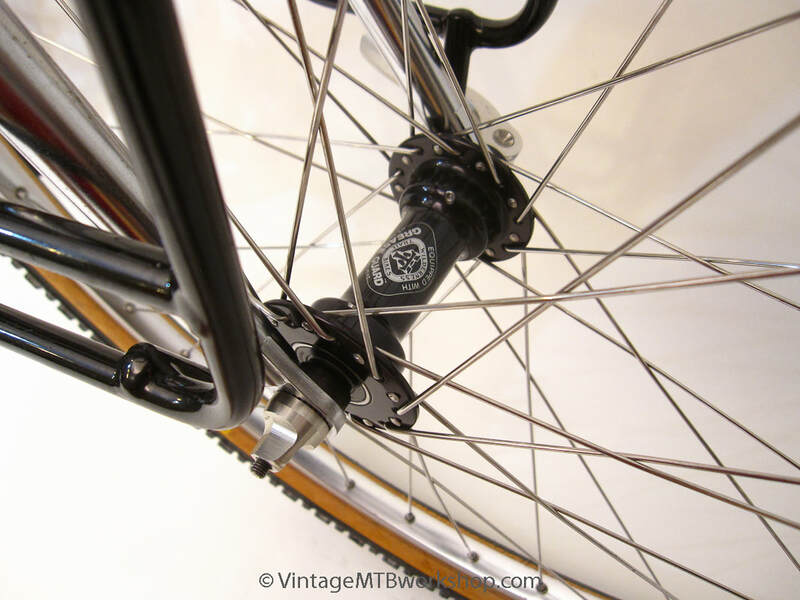 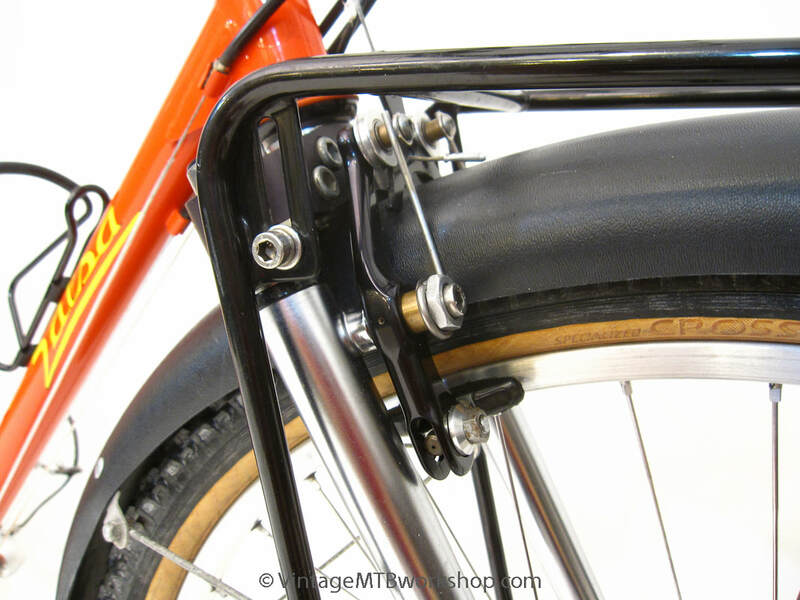 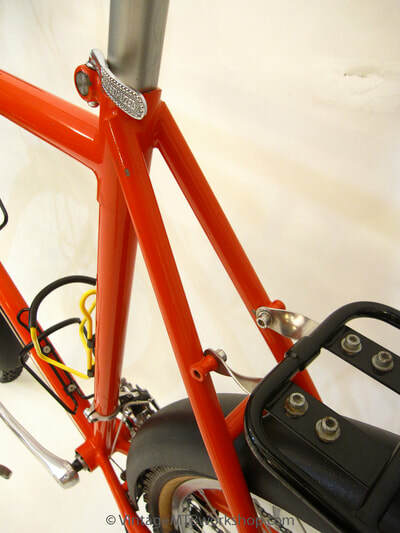 For the ultimate in reliability, serviceability, and function on the road, the original owner made extensive use of parts from Wilderness Trail Bikes, including the brakes, hubs, headset, shifter mounts, and handlebars. 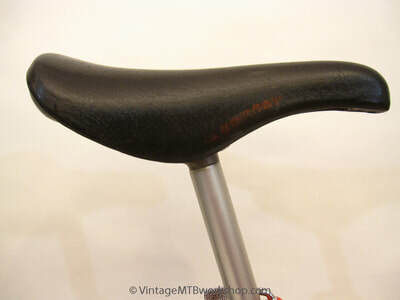 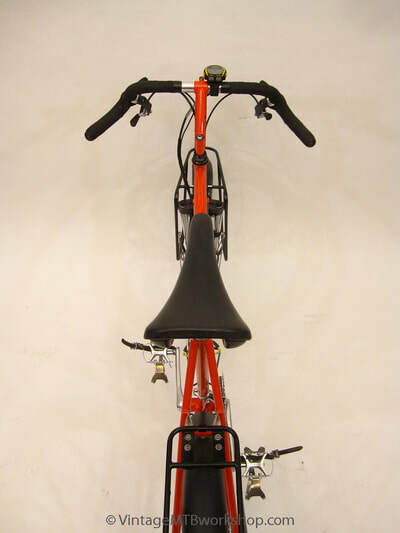 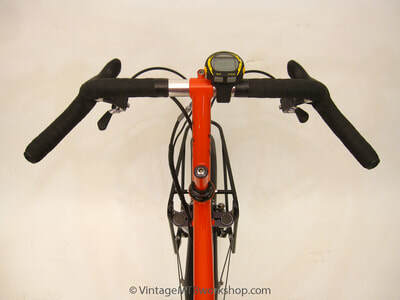 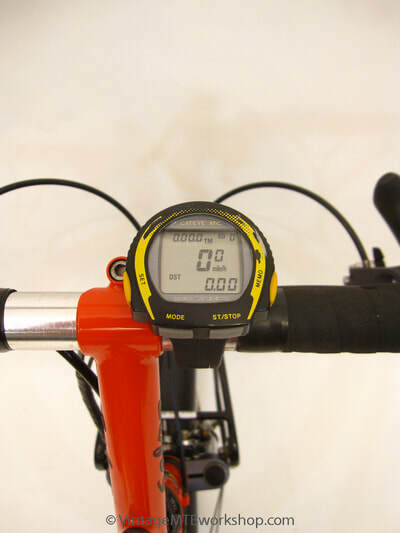 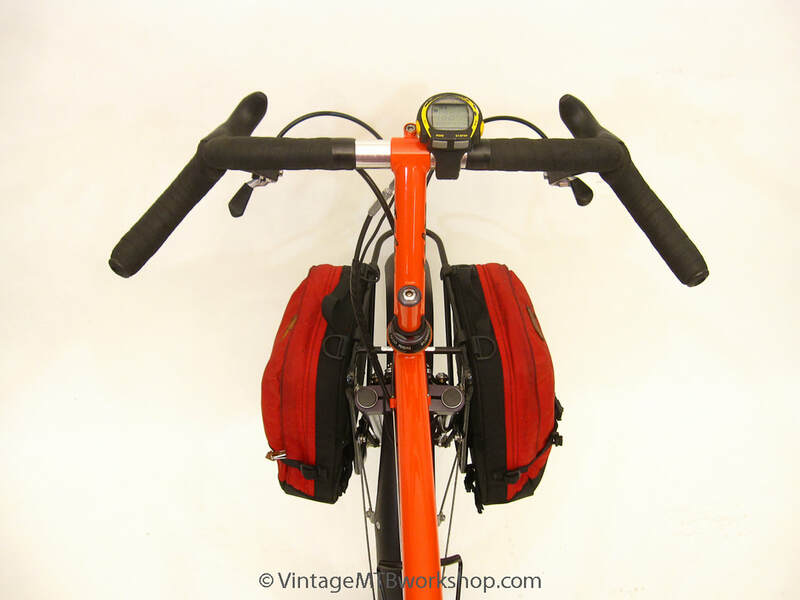 The upright riding position was designed for clear vision of the road ahead and long days in the saddle. However, all of this durability came at a price, in the form of weight. 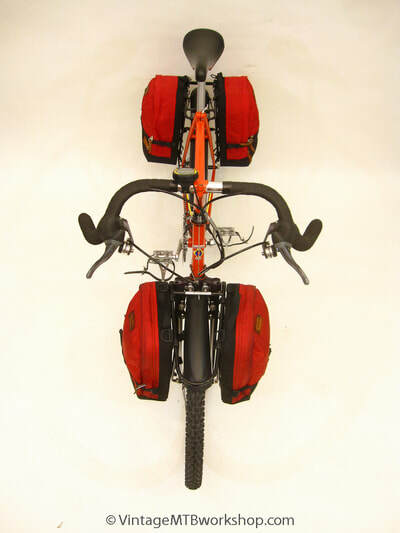 With empty bags, the setup weighs in right at 40 pounds. 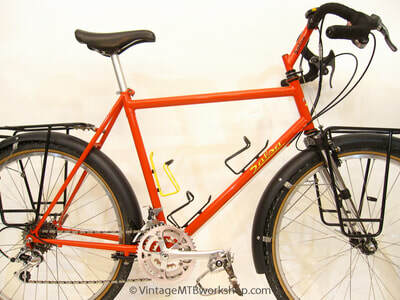 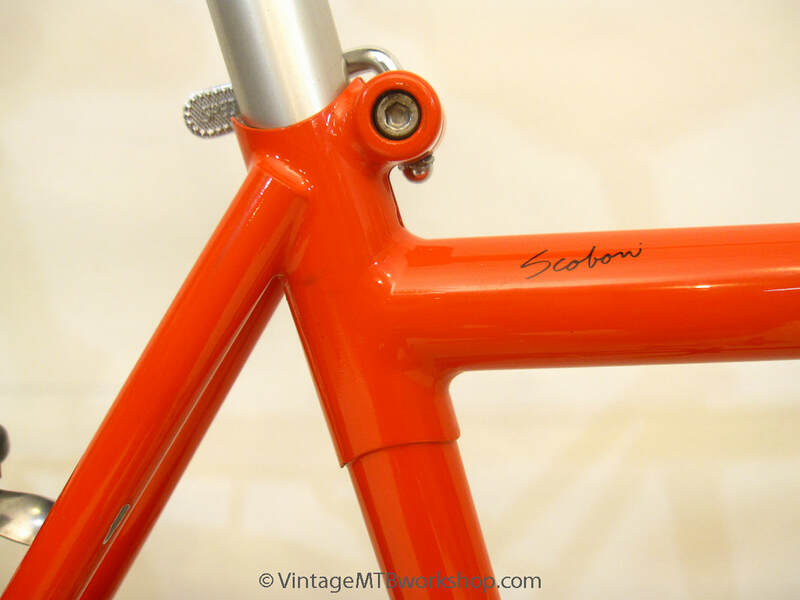 Perhaps with this in mind, the owner had Ross Shafer make him a second bike (SM1040) four years later which was significantly lighter. 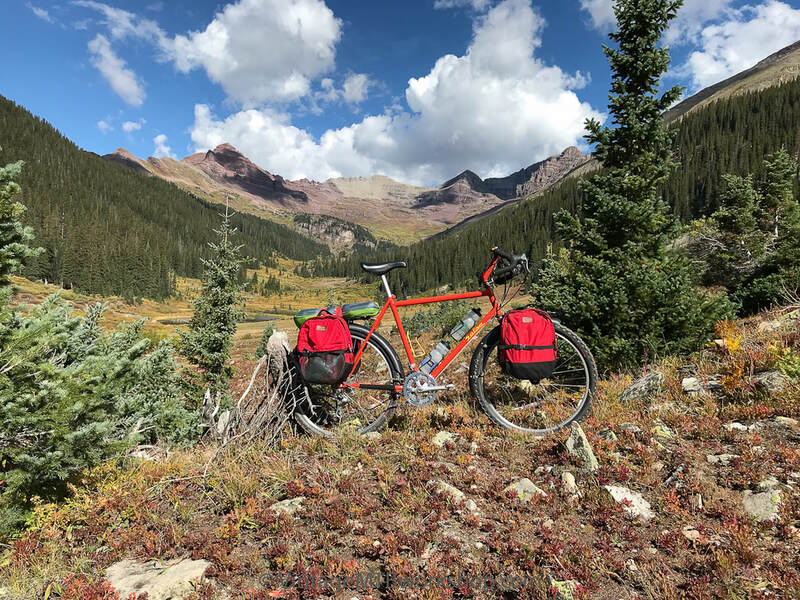 In honor of the fully-loaded Pearl Pass Tours done by Colorado mountain bike pioneer Mike Rust, this bike was taken on the 42nd edition of the Tour in self-supported fashion. 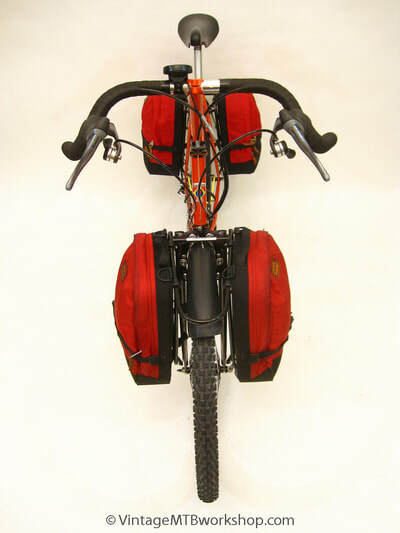 The inherent stability of a fully-loaded bike on rough terrain can't be underestimated, but the total weight was arduous on the pushing sections. Of course, the bike wasn't really designed to be used on such high-country adventures but still proved capable.